And by “ME,” I don’t just mean LDS Publisher—I mean every single reader out there who accesses the Internet! If you’re a published (or about to be published) author, you need an Internet presence and you need good solid information about your book(s)! I know I’ve talked about this before but I think it bears repeating because because a lot of you (especially newly published authors) are NOT doing this. How do I know you’re not doing it? Because I’m googling you! 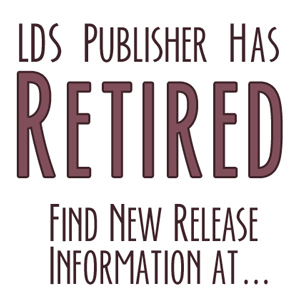 When I hear about a new LDS author or that an author has a new book about to come out, I google you to find the needed information to post about your book on the LDS Fiction site. I should be able to find you in three clicks. Guess what? Often, I can’t find you in 30 clicks! Okay, rarely am I that persistent. But the point is, if I’m not willing to look that hard for you, potential readers won’t be either. If they can’t find you in three clicks, they’ll assume you aren’t that good and won’t bother. Lost sale, lost fan. Sometimes when I do find an author blog, I’m able to determine that yes, the person is an author, and yes, the person does have a book coming out or the book has been recently released. But that’s all. No mention of the title, the release date, the publisher. I know that in our culture, we’re trained not to toot our own horn but there’s a difference between over-doing the bragging and simply providing information to interested parties. Have a blog or website. They don’t have to be fancy. A simple, visually appealing static blog using a basic template is better than nothing. Have a post about your book. Use LDS Fiction posts as a template. In fact, if your book is listed there, copy and paste it onto your blog, if you want. I don’t care. If you have more than one book, do a post on each book. If you have a series, let us know in what order to read the books. With publisher permission, post the first chapter of your book on your blog. Put the book covers as pictures in your sidebar. When you have a new book coming out, get that information up there as soon as possible! If you’re doing a book signing or speaking somewhere, set up a Page on your blog and put a link in your sidebar, with information well in advance of the event. Include date, time, location, complete address, phone number of location (if available), and if you’re savvy, a link to a map of how to get there. Here are just a few authors who I think do it right. Some of them have fancy websites, others have simple blogs—but they all have good information about their books that is easy to find. If you have a blog or website that you think is a good example of doing it right, feel free to put your link in the comments section. Don’t have a blog and need help setting one up? I’ve put some basic info under the label Blogging 101. It's especially challenging if there is someone else with your name with a strong internet presence. It took me months to overcome the Danish handball player, scuba instructor, and ANOTHER author (whose name ends in "son" instead of "sen") and start showing up on the first page of searches. After a year of effort, I've finally got a blog/website that is registering! Depending on what your name is, you may want to do a variation of your name or even a pseudonym so that you don't have the issues Michael did. Although the importance of search is waning as a driver of quality traffic to websites/blogs. The best fans come via twitter, facebook, other blogs, web forums, etc. LDSPublisher, your basic point is exactly right. Too many authors (and especially self-publishers) and even many publishers simply don't provide the information about their books that the industry (and worse, the customers) want. I'm sure somebody will claim that some of these aren't necessary because the reader doesn't care. Perhaps that is true. BUT, often the bookseller does care (dimensions and weight, for one thing, make a difference if you have to ship the book). AND, your book also looks deficient if every other book provides that information!! I'd also plea for mentioning that the author is Mormon or what is Mormon about the text. Too often the best works of literature written by LDS authors go unnoticed because the author doesn't think it is relevant, or worse, because the author is afraid. I should add that while Wm. may be right that search is declining in importance, having a website or blog in which you can add a lot of content about your book or books is still vitally important, because you need to give the visitors you get via "twitter, facebook, other blogs, web forums, etc." someplace to go for more information. but along with your website or blog, don't forget to put up the first chapter of your book (of all of your books, if you have more than one.) I know I'm more likely to buy a book if I can check out the author's style first. Along with the blurb, the first chapter can also be a powerful hook to reel in the readers. Yes, Melanie! I intended to include that in the post and just forgot it. I'll add it now. Thanks for reminding me. And yes, Kent. Back in the days of browsing a bookstore for something good to read, some of that info wasn't quite as needed. But today, when people purchase a lot online, or they want to buy local and need the ISBN so that it can be a special order, it's vital! And yes, Wm, twitter, facebook and forums are a good place to get fans. However. You can't twitter a sample chapter, and your facebook posts get lost over time. No one is going to go waaay back on your wall history to find info about your book. That's why you need a static place for that info–like a blog or website. *squints* Ah, yes, you did mention first chapters. Still, a little extra nagging, um, I mean urging never hurt anybody, right? I don't know why you and Kent misunderstood my comment, but just to be clear: all I was saying is that you may not need to stress too much about breaking the first page of Google search results when someone types in your name because more and more the quality traffic to your blog or website comes from link referrals as opposed to search results. Search is still very important, but it's not as critical as it once was. Although my recommendation (especially if you are an already-published author) is that you pay for web hosting and a domain name and get a web host that comes preinstalled with WordPress and use that to build your author site. There are other ways to do that, but that's the easiest way to do it that is most likely to a decent end result. Good points. I'm in the process of building my website because my first book comes out in March, so it's nice to have good models to look at. I agree with what you've said. I've reviewed books for authors and can't even find their website or blog to find out more info about them or to link to them in the review. I think you can find me in 3 clicks–no, I'm not the doctor :). As far as posting the first chapter, what's your opinion of posting the prologue? My next book is due out in January and I can't decide if I should post the prologue, the first chapter, or both. Isn't William saying that referrals to an author's website or blog are now more likely to come from social media, rather than from Internet searches? I don't see him disagreeing that some kind of site is necessary to provide the book facts, once interest is piqued. Yes, that's what I'm saying. Thanks for putting it that way Marsha. And not necessarily that people are "more likely" to come from social media rather than Internet searches, but that good visitors, potential and current fans are more likely to come in via social media links/referrals. Case in point: Google is still the largest referrer to A Motley Vision. But Twitter and Facebook bring in many more visitors now than they did even just 10 months ago. And the visitors that come in via Twitter and Facebook spend significantly more time on the blog and visit more pages per visit. I'm a non-fiction writer, but I think all of your advice here applies. I'd love some feedback on my site, "Dear Bro Jo" (http://www.dearbrojo.blogspot.com) and Facebook fan page. I think my blog is on track. I Googled myself and found my author's blog as the first entry. From the first page on my blog you can see a picture of my cover, links to where it is sold and a link to my books. It's a free blog and nothing fancy, but check it out if you want! Wm. I apologize. Actually, I didn't think that you had the wrong idea, just that some readers might misinterpret what you wrote. No worries, Kent. I'm pretty much always ripe for misinterpretation. Check out the website link included below. It promotes a new, nonfiction book published by CFI. The site contains many of the features you suggest and much more.